As our volume continues to grow, so does our need for production solutions outside of our Grand Rapids facilities. In finding a solution, we worked with our friends at Avery Brewing Co. in Colorado to make this happen! Beginning in 2019, we will start contract brewing All Day IPA at Avery. The beer made at Avery will head west, providing our West Coast customers with the freshest product possible. Rest assured, anything created with the Founders name on it will be just as delicious and consistent with product coming out of Grand Rapids. Our production team has completed a number of quality checks at the Avery facility. We’re confident in their system’s ability to replicate All Day IPA. This marks an exciting chapter in Founders’ history and, in a way, kind of brings our story full-circle. The last time we contract brewed was when we brewed our first batch back in 1997! 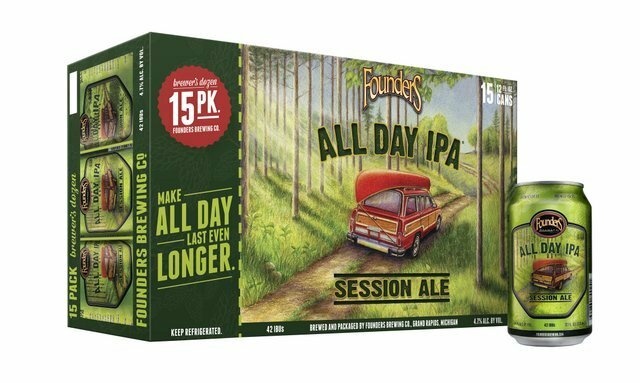 15-pack cans and kegs will begin shipping in early 2019. This Good Beer Hunting article notes that Avery sales have been struggling, which might have something to do with the partnership. The company laid off six employees earlier this year.